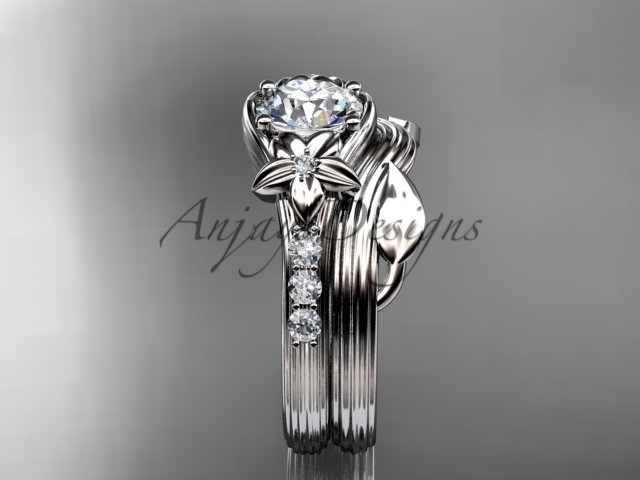 Diamond flower wedding sets, 14kt white gold floral engagement ring ADLR333S It has 8 VS-SI/G-H color diamonds total weight of 0.22 ct. The center stone is 1.0ct white sapphire This ring would make excellent engagement ring or a very special present for your loved one. This setting is available in white gold, yellow gold, rose gold or platinum. 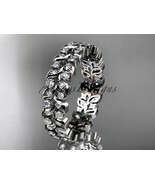 All our jewelry can be ordered in diamonds and gem stones. 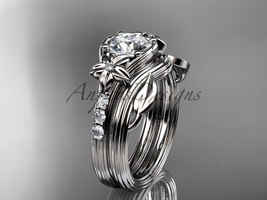 This 14kt white gold engagement ring comes in a beautiful jewelry box. All sizes are available. 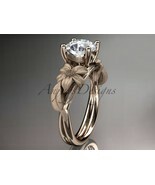 Please mention the ring size in the message box, while checking out. 100% MONEY BACK GUARANTEE! 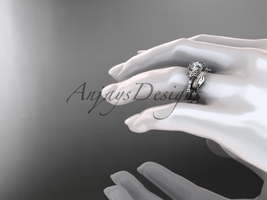 Product reviews for "Anjaysdesigns Ring"
This engagement ring is very good quality. It looks very clear along with bits of blue in certain lighting. The rose gold brings out the shine of the Sapphire, and the flowers/leaves are beautiful on either side of the stone. The size of the Sapphire stone look wonderful on my fiance's hand. 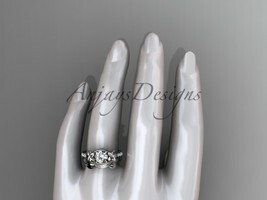 I am very pleased with this choice because it has a great appearance and is not as expensive for a fabulous experience. I would definitely recommend this choice to family member or friend in the future. I wanted something unusual for my wedding ring. 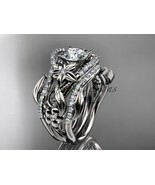 I have been looking at this ring for a long time, but was apprehensive to order it because in some cases a picture does not reflect the reality. However, due to the fact that I had an option to return it, I took a risk and order it. I received it on timely manner and was very pleased to find out that the ring looks very very close like on the picture (lighting factor) and it looks AMAZING on my finger! I’ve got so many compliments on my wedding day. 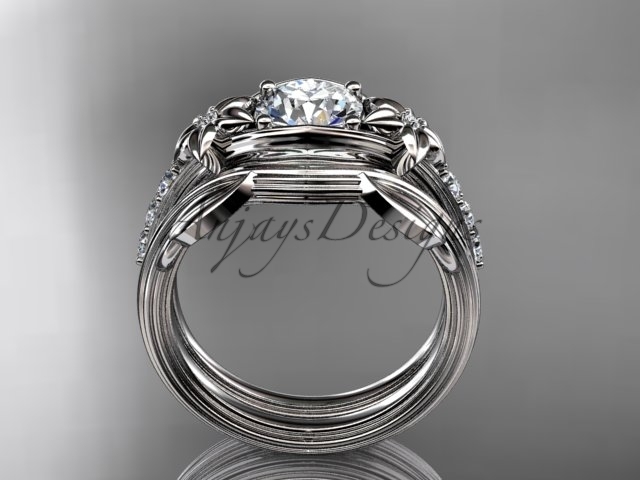 I fall in love with this ring! This ring is so beautiful! The picture looks great but you must see this in person to appreciate it's true beauty. 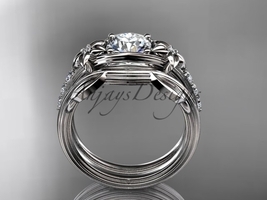 I was looking for a ring that was unique and this truly is. Very happy with my purchase!